The 10 Best Tanning Salons in South Carolina! South Carolina gets plenty of summer sun, but those who like to keep their sun-kissed color year-round head to their nearest tanning salon. Laying in a tanning bed has become a sort of therapy for some, allowing folks to get a few minutes of R&R whenever the mood strikes. Rain, scorching heat, or even the occasional snow won’t slow your glow at these 10 best tanning salons in South Carolina. Smart phones, smart watches….smart tanning? It’s possible at Carolina Tan Factory. Their team can help customize your experience to give you the color you need. With three locations in the Midlands area, visitors have their pick of tanning bed or spray tan at fair prices. As the hottest tanning salon in the Lowcountry, Sun Station Tanning Studios offers nine locations to serve their guests. 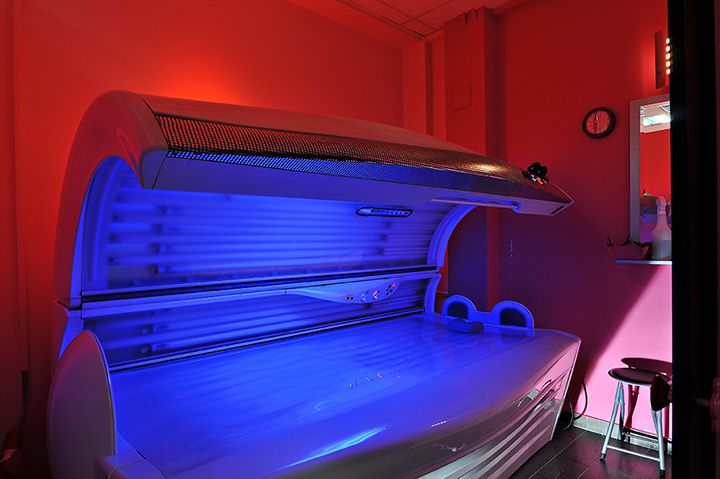 You can take your pick of sun vs. sunless tanning in a variety of top-of-the-line beds. Visitors rave about the excellent prices and cleanliness of this salon, as well as the selection of experiences. Having perfected the art of tanning, you can easily achieve your golden glow goals here. They feature a variety of services not commonly found in other salons, such as red light tanning to reduce aging, mobile spray tanning, esthetics and heat therapy. It adds the spa look and feel that tanning salons didn’t realize they were missing, and once you try it you won’t want to go anywhere else. If you want a personalized experience with a staff who truly cares about helping you meet your tanning goals, you’ll want to make Sun Your Buns a must-visit. You’ll feel like family every time you walk through the door. Their guests keep coming back because of the exceptional customer service, low-priced lotions, and all the little details that go above and beyond what you’d expect from a tanning salon. What started as a tanning salon-slash-cell phone retailer in the 90s has evolved into one of the most well-loved tanning salons in the Upstate. They offer a variety of bed and spray tan packages with low memberships fees to suit your needs, as well as lotions, clothing items, goggles, and other accessories. You won’t find a better tanning salon in the area. You don’t have to go all the way to Palm Beach to get a Florida-approved tan. With three locations across the Midlands, the team here is dedicated to helping to achieve the perfect tan. Step into the highly acclaimed Mystic Tan spray booth, relax in one of several high-quality sun beds, or indulge in a spa-like experience that combines tanning with aromatherapy, music, and air conditioning. This cozy college town boasts one of the best tanning salons and boutiques you’ll find in the state. Guests have their pick from several tanning packages, or they can go the non-committal route and pay for each visit separately, no membership required. Aside from getting a gorgeous tan, you can find Greek apparel, unique gifts, tuxedo rentals, and an embroidery service. Your experience at Solaria doesn’t end with a regular tanning session. The experts here are well-trained to answer your questions and make recommendations on how to get the most out of each session. They feature a variety of high-quality lotions, tan-extender moisturizers, self-tanners, and spray tans to give you the results you expect. Maui Tan is less like a typical tanning salon and more like a cutting-edge tanning boutique. Here you can choose between UV and spray tans, along with quality lotions, teeth whitening, and ear piercing. And the top-notch service is second to none. The name says it all. Whether you want to glow for a wedding or other special occasion, or simply want to keep your summer color year-round, Bronze Body offers several services to deliver. You’ll find the best names in tanning lotion, along with highly-rated spray tan systems and UV beds to help you work toward your tanning goals.